Each spring, Epcot bursts into an artist’s palate of colors. From the front gate to the back wall of The American Adventures, blooms and blossoms fill in every available nook, cranny and corner. While not officially a part of the event, the entire Walt Disney World Resort always appears to be filled with more vibrant plant life during the event. 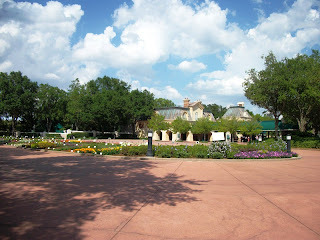 There is, however, one bed officially tied to the International Flower and Garden Festival that does not reside inside Epcot’s gates, although it does hug one of the park’s borders. Guests walking up from the Epcot Resort Area come through the International Gateway. 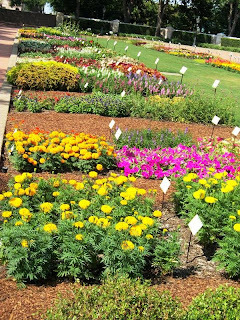 There, in a large oblong garden bed, are over two hundred varieties of plant life. This garden is looking ahead to future festivals and highlights a form of horticulture known as floriculture. Floriculture focuses on creating new breeds of plants, with an emphasis bedded plants, flowers, and greenery. Once a new form of a plant has been created, it is assigned a number, tested in a variety of growing environments, given a scientific name and, finally, arrives at a local garden center or nursery. The flower bed found in the International Gateway is the combined efforts of Walt Disney World horticulturists and the Florida Nursery, Growers and Landscape Association (FNGLA). 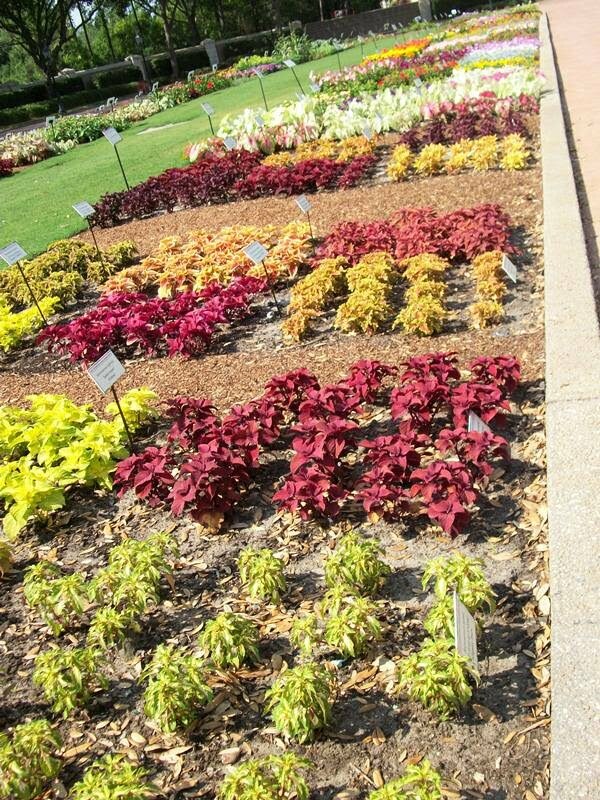 As a test site, this garden is designed to ascertain each individual plant’s ability to flourish in the harsh climate factors of Florida. The six week study will result in some new flowering plants coming to Florida garden centers, while others go back to the drawing board. 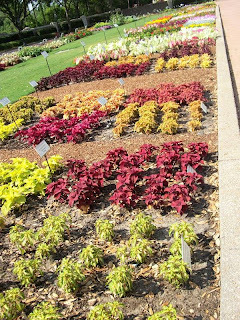 With potentially two hundred new plant varieties, upcoming International Flower and Garden Festivals could see these blooms in their beds as soon as next year. As an aside, those of you who know this area and its history well, you’ll notice a missing structure in the first photograph above. The flower bed was once the turning point for trams ferrying guests from resorts to Epcot’s second gate. A covered waiting area with corrals was needed for the tram stop. 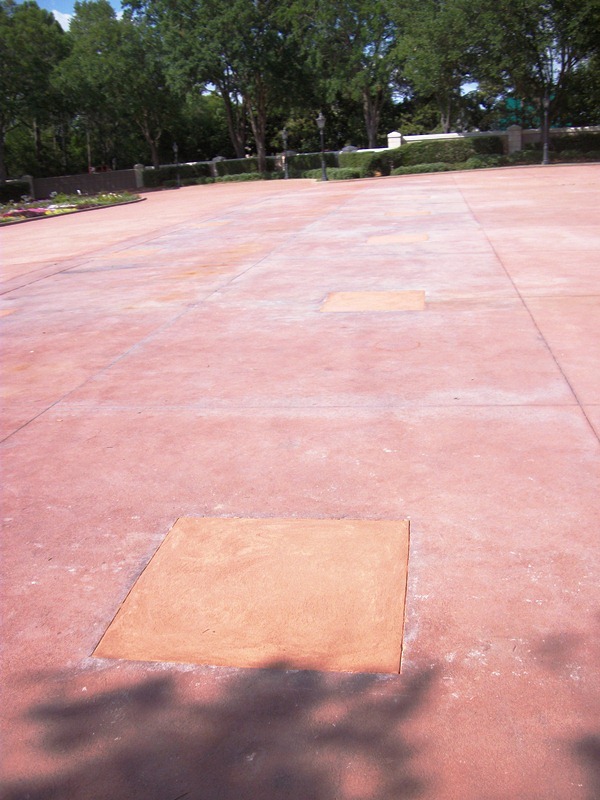 When tram service was discontinued, the area was left unchanged, save for a tarp that covered the sign announcing the tram station. 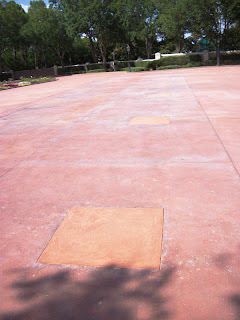 This waiting area was recently dismantled, but signs of its place in the geographical history of Walt Disney World remain.